While the European Champions League resumed its rights Tuesday night with the first day of the group stages, Wednesday was marked by the opening match of the title owner Chelsea, with its defensive midfielder, John Obi Mikel facing Juventus who was making his comeback in C1. Africans alternatines good and less good. The Nigerian John Obi Mikel and his teammates of chelsea have conceded a draw at home against Juventus of the Ghanaian Kwadwo Asamoah after leading 2 goals to 0, final score (2-2). At the same time, Alex Song and his teammates of Barça did not expect such opposition against Spartak Moscow Nigerian Emenike. They won on forceps (3-2), with the Indomitable Lion who rushed into the pitch after the injury of Gerard pique. The International African of Galatasaray, Cameroonian Nounkeu Danny and the Ivorian Emmanuel Eboue, defenders were beaten at Old Trafford where they challenged Manchester United (1-0). 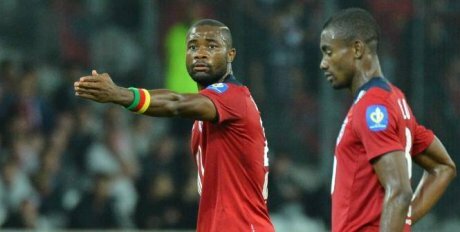 As for Lille of Aurelien Chedjou and Salomon Kalou, they failed at home (1-3) facing BATE Borisov. Aurelien Chedjou (5): His performance in the first half was pathetic as well as that of all Lille defense . He just made a better copy in the second half with his goal (60th) to reduce the score to face BATE Borisov (1-3). John Obi Mikel (6): Regulator of the Blues game, he recovered a huge quantity of balls that allowed Londoners to highlight, especially Oscar, who scored twice. In the second period, his passes were not sure putting his team in trouble. Kwadwo Asamoah (6.5): he gave his best last night. Providing solutions helped by its aggressive percussion and his defensive skill s. An output that should be kept for the upcoming games. Alex Song (4): Repositioned in central defense for his first appearance in the Champions League on Barça shirt after the injury of Gerard Piqué, the Cameroonian was not at the top. An evening to forget. Emenike (6.5): The Nigerian was impressive last night. He made a lot of cross . One of this brought the first goal oh his team. A very encouraging performance. Salomon Kalou (5): This is a little bit the Kalou we used to see at Chelsea. Very enterprising but lacking success in his dribbles. Her performance is still above those of his teammates in attack, especially Dimitri Payet and Tulio De Melo.